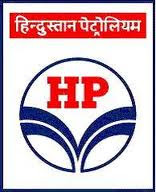 www.hindustanpetroleum.com - Hindustan Petroleum Corporation Limited (HPCL) invites applications from eligible candidates for therecruitment of Latest Job Vacancies in it’s refinery located inVisakhapatnam. Educational Qualifications: Diploma in Chemical Engineering (OR) First Class B.Sc. (Maths, Physics & Chemistry).